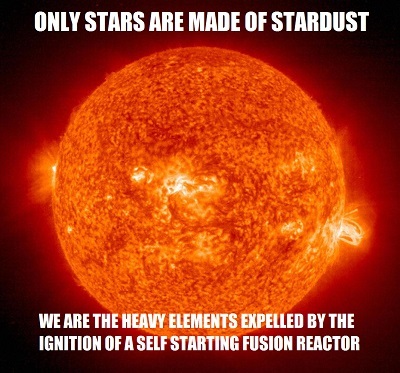 There was no "Big Bang", it was a Quantum Fluctuation with Rapid Expansion and Rapid Cooling. Genesis 1:1 In the beginning, God created the heavens and Earth. WRONG! The 'heavens' (universe) and Earth were not created. The universe and Earth formed over a very long period of time through gradual natural processes that are well understood in concept, mathematical proofs and empirical evidence. No supernatural power needed. Before the Beginning, there was Nothing. And that was for an Eternity. What was Before the Beginning? The Initial State Conditions. Eventually, there was a quantum fluctuation in Nothing. Spin s = 0 ? A point source phonon in a quantum fluctuation state was emitted. This caused a phonon cascade avalanche, filling the universe to a finite distance (the Rapid Expansion) and separating the dark matter and dark energy from the light matter and light energy universe. The Body is not a Temple. The Body is a Vehicle. It is powered by an acid combustion electrobiochemical engine to process fuel for the symbiotic parasite bacteria colony operations that deliver specific chemicals to our bloodstream. Over time, the blood does develop the equivalent of sludge or plaque, isn't renewed as quickly, or is replaced by cells with more defects. A specific part of the brain contains the I, the life force that recognizes its own existence. The perception of existence originates from the conscious mind contained in the frontal cortex area. This perception of existence is dependent on the multiple sensor transducers for light, sound, temperature, pressure, and biochemical reactions (sight, hearing, touch, taste, smell) and the holographic processing of the organic CPU formed by the frontal cerebral cortex area. This organic, analog computer computes our perception of self awareness, but is aware it is not the source of self awareness, which lies deeper in the brain. Nuclear DNA is the firmware, mitochondrial DNA is the Basic Input/Output System (BIOS) to provide the instructions to the cell wall, defining its purpose. The communication channel from the nuclear DNA to the mitochondrial DNA is by certain proteins and that communication channel degrades with more errors over time. This communication channel can be restored. After years of observation, it is apparent that Nature uses trial and error almost exclusively. The development of life has been incremental in complexity and function but almost as if Nature does not know herself and is learning from each iteration how to evolve improvements. About 2,500 years ago, a man said "Above all, do no harm." This is actually impossible to do in our human lives, since lifeforms have to die for us to live, many thousands of lifeforms having to die to feed the individual lifeform. Even eating dropped fruit and vegetables, there are many microbes that are killed by the digestive process. The phrase means "cause no harm to others intentionally", and sometimes this seems almost impossible to avoid in reality. The same man 2,500 years ago also said, "For every effect, there is a cause." Another man 2,000 years later said, "For every action, there is an equal and opposite reaction." Both are true but both negelected to note there is always lag between cause and effect, always a delta-T. So, it is cause-delay-effect. In most cases, the delay is the speed of light.